Happy Valentine's Day. 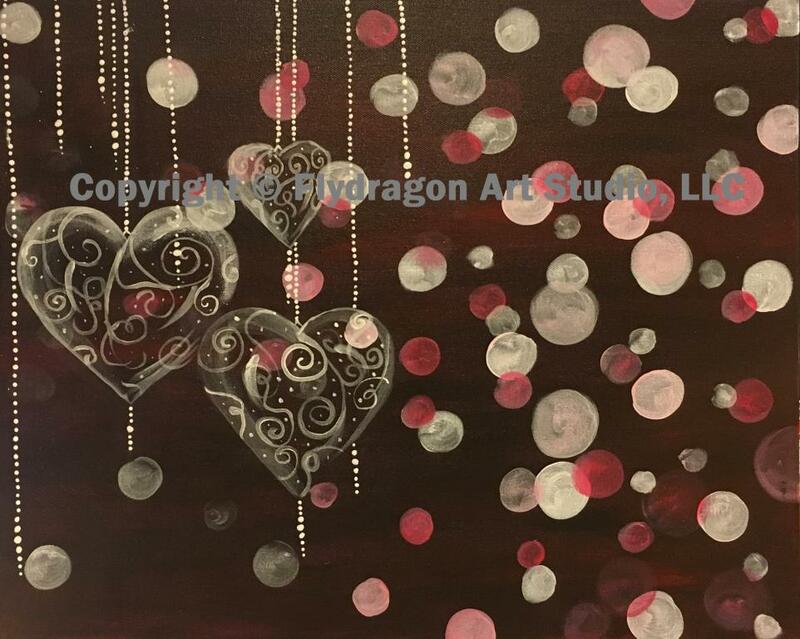 Paint with us tonight and receive a special treat. We are painting these glass hearts. This would be a great painted across two canvases!! You will be painting on a 16X20" stretched cotton canvas.